Was Isis Doomed Without Rebranding? 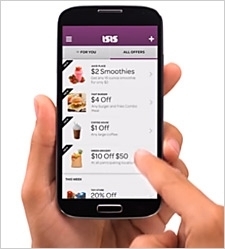 Isis -- the mobile wallet venture formed by AT&T, T-Mobile and Verizon Wireless -- is getting a new name. The company on Monday announced plans to rebrand in order to avoid association with the Islamic State of Iraq and Syria, or ISIS, a Sunni jihadist group that has rampaged across Iraq and threatens to topple the country’s government. "However coincidental, we have no interest in sharing a name with a group whose name has become synonymous with violence and our hearts go out to those who are suffering. As a company, we have made the decision to rebrand,” stated Isis CEO Michael Abbott in a blog post, first reported by The Verge. A recent front page story in The New York Times headlined “ISIS Threatens Al Qaeda as Flagship Movement of Extremists” may have helped the mobile startup come to its decision. The possibility that the militant group could become as well known as Al Qaeda was likely not an appealing prospect for Isis. Still, is the step an overreaction? A Pew poll on June 30 showed the crisis in Iraq has attracted only modest interest from Americans, with only a quarter of those surveyed saying they are paying very close attention to the growing violence and instability there. How many know what the acronym ISIS stands for, or that it's a jihadist organization? At the same time, probably even fewer are aware of the Isis mobile app, given the slow rollout of the service and the lack of traction for mobile wallets overall to date. The rebranding announcement itself, picked up by national news organizations, ironically, has probably generated as much publicity for the venture as any other development to date. Both ISIS and Isis -- as well as stories about the mobile service shedding its name -- appear on the first page of Google and Bing search results. So do links to ISIS pharmaceuticals and the Iowa Student Information Services (ISIS). And let's not forget the Institute for Science and International Security, which also goes by ISIS. Will they all change their names now, too? After all, Isis -- the mobile wallet -- isn't even an acronym. Most would likely have some recollection of Isis as the Egyptian goddess, from history class or pop culture versions in comics, cartoons or cheesy TV shows. And countless small businesses use “Isis” as part of their name (Isis Nails, Isis Seafood, etc.) so it’s already something of a generic term. What was the thinking behind the name in the first place? In his post, Abbott explained: “We wanted a name that brought life to our company and our values. Above all, we wanted a brand that captured the simplicity of our mobile experience. We chose Isis.” So mainly, they liked the way it rolled off the tongue. Abbott suggested a new brand would be introduced in the coming months. The company doesn’t even appear to own the domain for Isis.com (which currently only features an “under construction” message), but instead uses the URL www.paywithisis.com. But that's sure to change as part of the rebranding as well. The new name probably won't include anything that could be construed as an acronym. Too bad "PayPal" is already taken. 2 comments about "Was Isis Doomed Without Rebranding?". Neil Mahoney from Mahoney/Marketing, July 8, 2014 at 12:36 p.m. I was with the ad agency that handled the "Ayds" account. It was a successful diet-control product. When AIDS hit, they never changed their name. Of course, they went under. I could never understand why they stuck with it. AT&T did the wise thing. Randy f Price from Digital Pricepoints, July 8, 2014 at 11:16 p.m. Doesn't transmit any meaning to me... and P.S., as a marketing executive myself I scratch my head and ask "didn't anyone do a Google search during the branding exercise????"